This Workshop Service Repair Manual contains all the technical information you will need to properly perform all repairs. This Workshop Repair Manual includes detailed information for every repair procedure making all service and repairs simple. The easy to read exploded views and diagrams found in this Workshop Repair Manual make for easy identification, disassembly/re-assembly, accurate adjustment, and correct repairs. This Workshop Service Repair Manual also contains illustrations, diagrams, specifications, step by step instructions, pictures, procedures and much more. Workshop Service Repair Manuals are needed for do it yourself servicing, teardowns, repairs, overhauls, adjustments, and complete specifications. 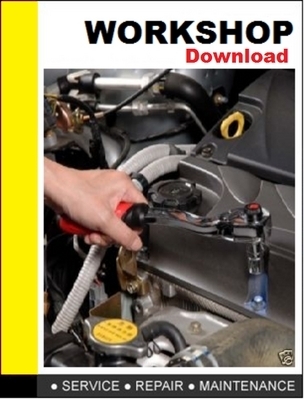 A huge amount of detailed repair information is contained in this top quality Workshop Manual and is supplied via instant download in PDF format. This file is sold by repairkingdom, an independent seller on Tradebit.